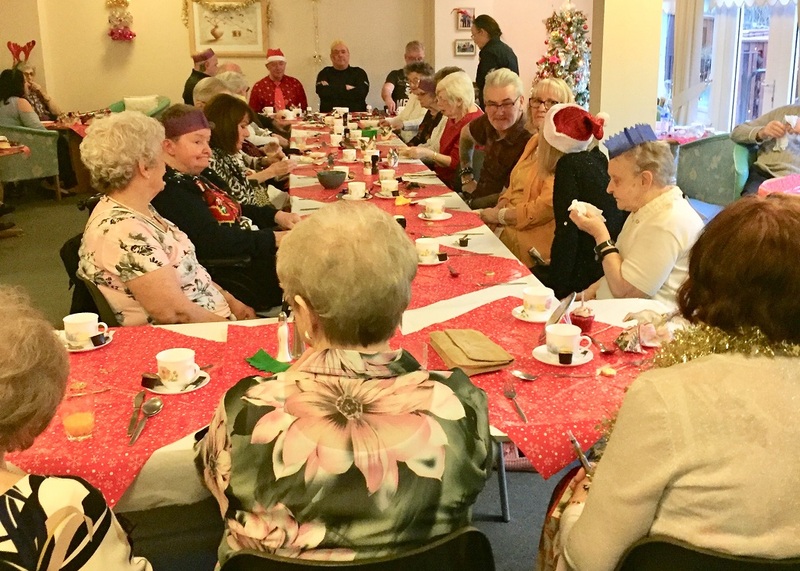 Older people at Bield retirement housing developments got into Christmas spirit as they celebrated the festive season with a series of events. Tenants at Crosshill Gardens in Port Glasgow development tucked into a staggering 52 Christmas dinners as part of their annual Christmas party. Guests and tenants were served a three-course feast comprising soup or juice for starters, turkey or steak pie for the main and gateaux or trifle for dessert. Complete with token gifts and a visit from Santa Claus himself, those involved enjoyed music from community warden, Mark Lynch, who gave his own rendition of Christmas classics as well as Robbie Williams’ ‘Angels’. Michele McKinnon, retirement housing manager at Crosshill Gardens, said: “It was such a fantastic day – I can’t believe we managed to serve up 52 Christmas dinners. “Mark’s version of ‘Angels’ was quite moving, and we even managed to have a boogie with the community police officer. “On behalf of everyone at Crosshill Gardens, I would like to say a big thank you to the members of the community who helped fundraise for the event and the volunteers who lent a hand on the day. Adding to the festive fun, tenants were also treated to a visit from the Port Glasgow High School band for the third year in a row. 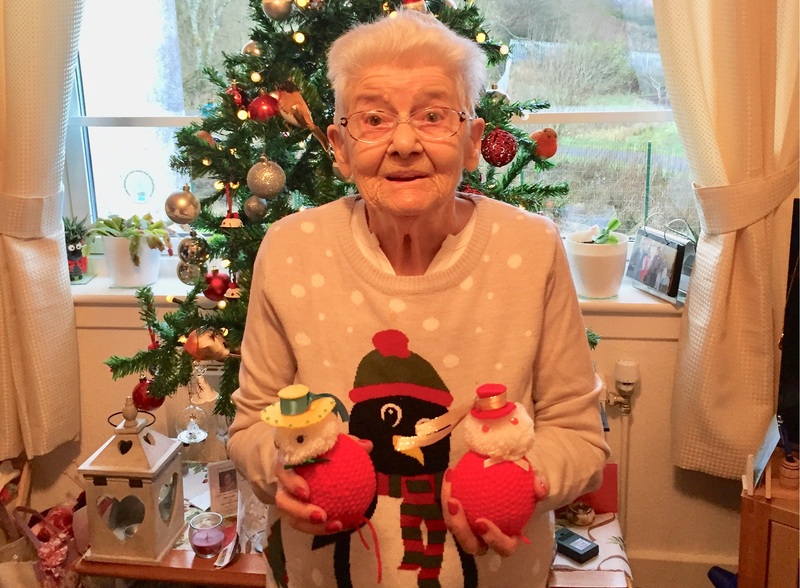 A treats table was supplied on the day for the pupils as a thank you, with 88-year-old tenant Margaret Sneddon creating 30 individual Chocolate Orange knitted hats which she has worked on for the last four months. 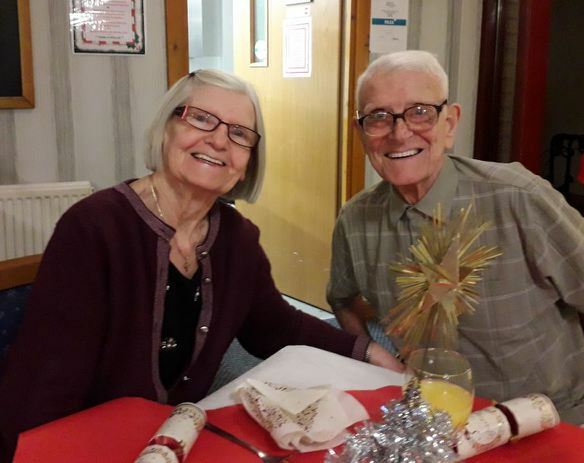 Meanwhile tenants at a Retirement Housing Plus development in Glasgow celebrated Christmas in style with a three-course feast, live music and a raffle prize draw. Joined by family and friends, tenants at Bield’s Carntyne Gardens tucked into a traditional feast in the lounge, before enjoying live music. Those who were feeling energetic danced to a string modern hits whilst others sung along. Bernadette Halligan, retirement plus manager at Carntyne Gardens, said: “The party was a huge success and it was brilliant to see the support from tenants and their families. “We served a really nice menu including a starter of either cream of chicken and white wine soup with croutons or smoked salmon, prawn and melon salad in a lime vinaigrette. “The main was traditional turkey or smoked gammon with pigs in blankets, apple chutney and cranberry gravy. “For dessert tenants and family members had a choice of dulce de leche caramel and toffee cake with vanilla ice cream or raspberry pavlova with Chantilly cream. “Everyone was a bit stuffed but that that didn’t stop them getting up for a boogie and joining in with the raffle. “We had some amazing prizes including jewellery, food hampers, wine, gin, vodka, whisky, aftershave kits, perfume, candle sets and purses and bags. “All of the money from the raffle will be donated to two charities as yet to be decided as there is further fundraising going on. However, we raised around £110 on the night.